MSRP: Starting at $7,973 USD. 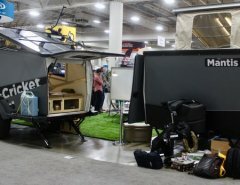 Teardrop camper trailers evolved after World War II, and were originally constructed with materials obtained from surplus markets. Teardrop trailers are sleek, aerodynamic, and practical. 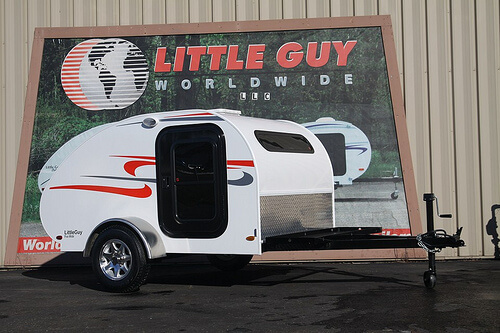 The Little Guy 5-Wide Platform Model Teardrop Camper Trailer has the Classic teardrop shape and is their biggest seller. 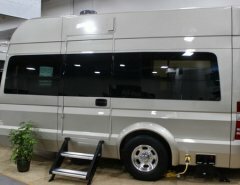 This camper trailer has a super attractive fiberglass exterior with custom graphics. 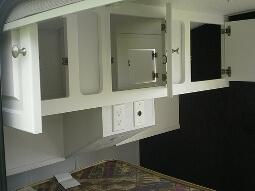 A rear-locking hatch provides access to the galley. For safety and privacy, there are locking double entry doors with slider window and screen. This teardrop trailer can sleep up to three adults or two adults and several children. 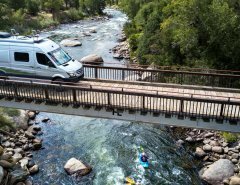 The Little Guy teardrop trailer can be pulled by any vehicle with a hitch—even the smallest of vehicles such as the Mini Cooper or the VW Beetle can easily tow a Little Guy teardrop trailer. This trailers come equipped with a queen size mattresses. 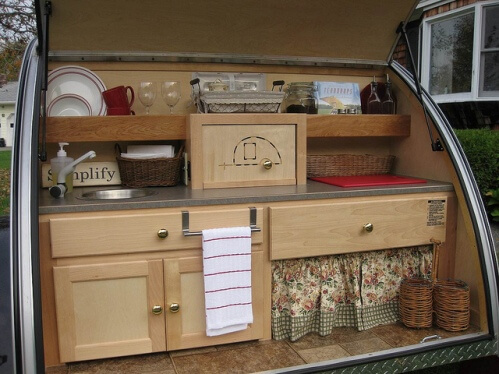 The Little Guy teardrop trailers come with a galley and can be equipped with a side mounted gas grill and beverage dispenser. 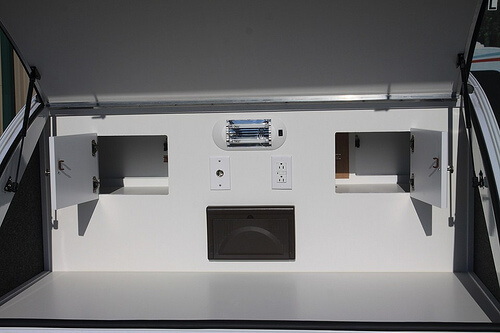 You’ll find ample overhead storage cabinets inside the teardrop trailer, You can even add a room with the Little Guy’s accessory of a snap-on tent. Carrying bikes, coolers, or other supplies? Not a problem when you have the Platform model. This has a metal platform on the front of the trailer. The Sport models even come with ramps and a platform for loading and transporting your all terrain vehicles. Clearly, this is a trailer that is personally modified for your camping needs, and at a cost to fit anyone’s wallet. Exterior Graphic Pattern and Colors. Porch Lights 30amp Inlet and 25 Power Cord. Charges battery when connected to shoreline power or tow vehicle.